All contractors who wish to join our group must complete one of the comprehensive, hands-on commercial roof training programs offered by Conklin as part of our process of ensuring quality service building owners can count on. These trainings are appropriate for both new contractors as well as the most highly trained roof contractor. Also, we take all of our future members out to a private dinner to learn key insights about being more successful in the commercial roofing industry from veteran contractors. You don’t want to confuse Conklin’s roof systems training with other programs you may have taken in the past. As mentioned multiple times in a recent group testimonial video, this program is very thorough and highly extensive. Also, after taking the step of joining our group or becoming a supported contractor, you will immediately benefit from what we have to offer as explained on our Contractor Benefits page. Once you have made a serious commitment to join our group, we’re 100% behind you and your success. The Conklin Metal Roof Coatings Training goes over proper application of all MR systems using the highly praised Conklin coating products. This training will help you assess projects, setup shop, bid metal roof restorations successfully, and do sales and marketing. 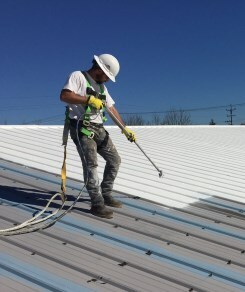 Restoring metal roofs is a great way to break into commercial roofing while lowering labor costs and increasing profit. 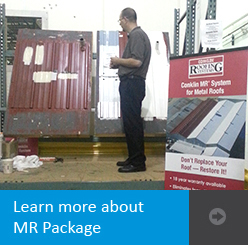 Learn more at: Metal Roof Coating Opportunities. $799 covers a full day of training, ability to issue Conklin warranties on MR systems, two hearty meals, $100 worth of sales materials, $150 of product credit, and ongoing support from fellow commercial roofing contractors. Upon completion of this advanced training program, which covers coating systems, single-ply roofing installation and spray foam applications, contractors will be able to install Conklin roofing systems with non-prorated, no-dollar-limit manufacturer warranties. 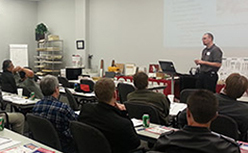 This advanced training, which is highly praised by roofing veterans in the field, covers three full days of extensive training (cost varies – ask about $500 discount), additional 6% product discount, ability to issue Conklin warranties on all roofing systems, and ongoing support from fellow commercial roofing contractors. Many contractors have attempted to enter the commercial roofing market but failed because they didn’t know how to get the jobs after getting the proper training. We cover all the bases by incentivizing veteran commercial roof contractors who know what it takes to share what made them so successful at landing large projects consistently. You can count on this team to help you get to the next level. The commercial roofing industry was worth over $5 billion in 2014 alone. 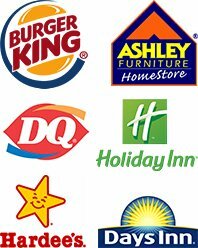 This multi-billion-dollar industry is not divided equally among competitors. Conklin’s cool roofing systems are leading the way with their long list of tremendous selling features. 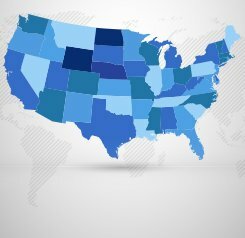 Commercial building owners all over the United States are tired of their old roofing systems that are constantly in need of repairs. They have a strong desire to install a better roofing solution, and Conklin’s roofing systems virtually address all of their problems. With Conklin’s extensive hands-on training packages, Choice Roof Contractor Group’s support, and access to discounted pricing, you can claim a piece of this enormous industry.